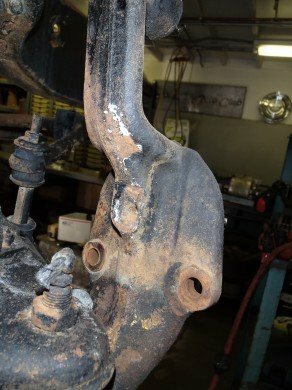 This post will cover the 1963 Corvette chassis assembly marks. When the GM factory was assembling the chassis of the Corvette or any other vehicle for that matter, they would torque check certain nuts/bolts at various locations on the chassis. 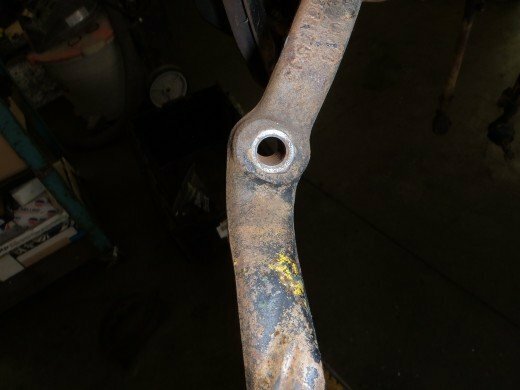 Upon having checked these various nuts or bolts they would brush a dab of paint, being of various colors, on the chassis components to show they had been checked. When restoring a Corvette to full judging criteria, these marks need to be put back on the chassis. One of the easiest ways to go about this is to purchase a chassis kit from Quanta, they will provide you with various colors of paint and some instructions as to typical markings that are found on the chassis. 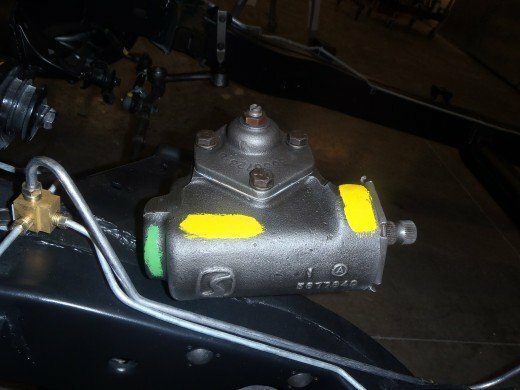 For our Corvette we were lucky enough to find most of the original markings still on the suspension components so we could recreate what was on the car from the factory. Below you will see a couple example photos of the original Corvette chassis assembly marks and the photos of how we recreated them. When disassembling the chassis, we took photos of any assembly marks we came across. Here are a few examples. 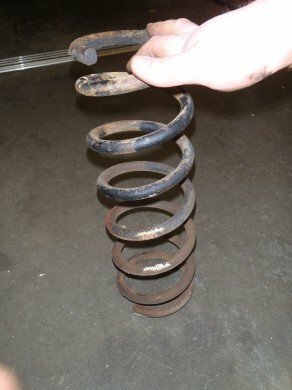 Above is on of the front springs. You can see the strip of lavender paint that was put on it. 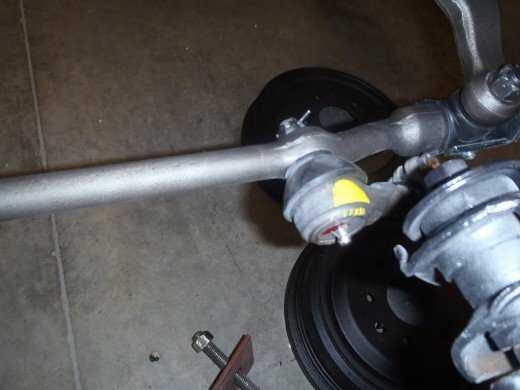 Here is one of the steering arms off the Corvette. You can see the daub of yellow paint that was on it. 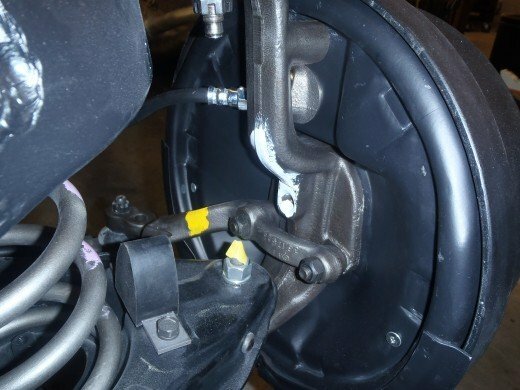 Here is the steering knuckle. Notice the white paint the was applied to the vertical section of the knuckle. 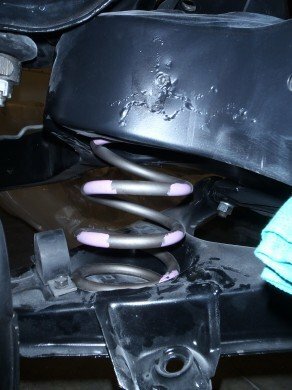 Before installing our front springs we recreated the lavender stripe on the spring. 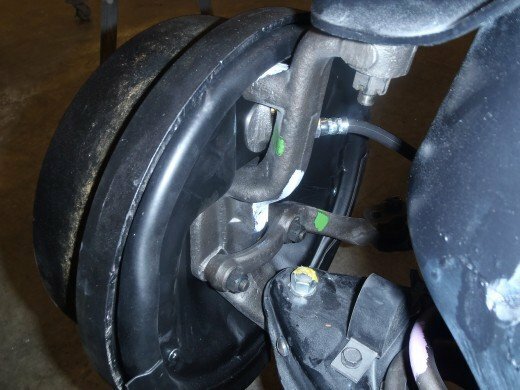 Here are the assembly marks on the other steering knuckle. We found some marks on the original tie rod ends. We also put assembly marks back on the steering box. As we keep assembling the chassis, there will be a few more assembly marks to apply. The drive line and differential housing will both get assembly marks.